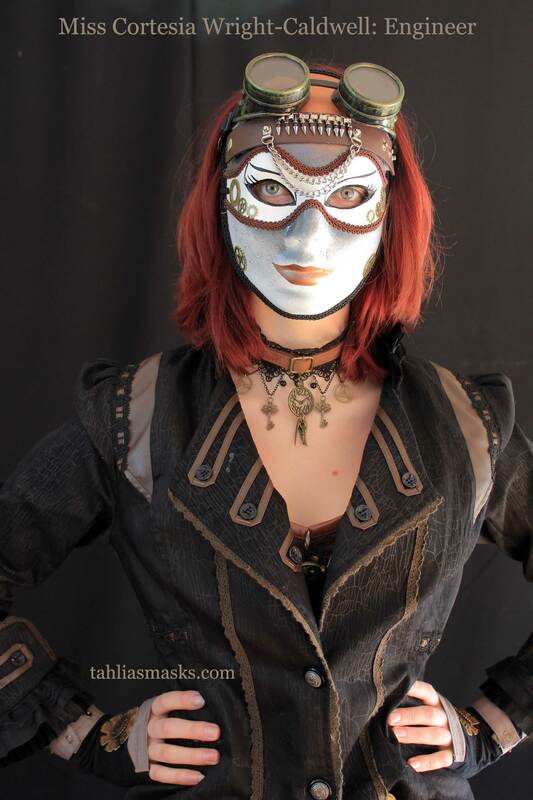 Meet Miss Cortesia Write-Caldwell: Engineer. 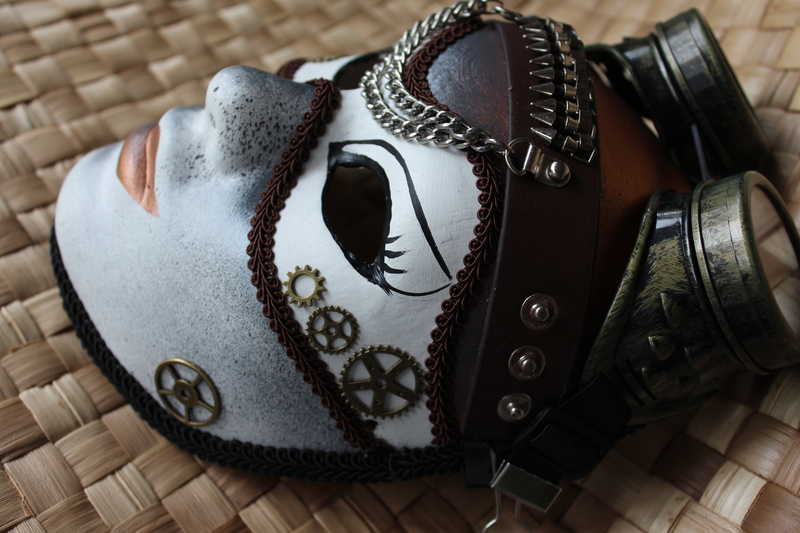 She’s been working on the airship engines and has pushed her goggles (which you can remove and wear) onto the top of her head. 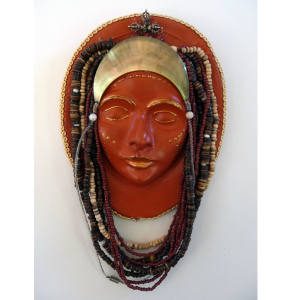 Her sweat band is a leather cuff, you can also remove and wear. 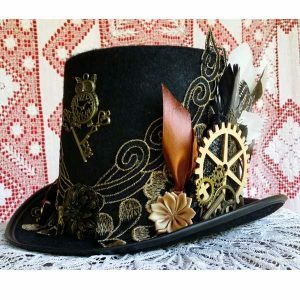 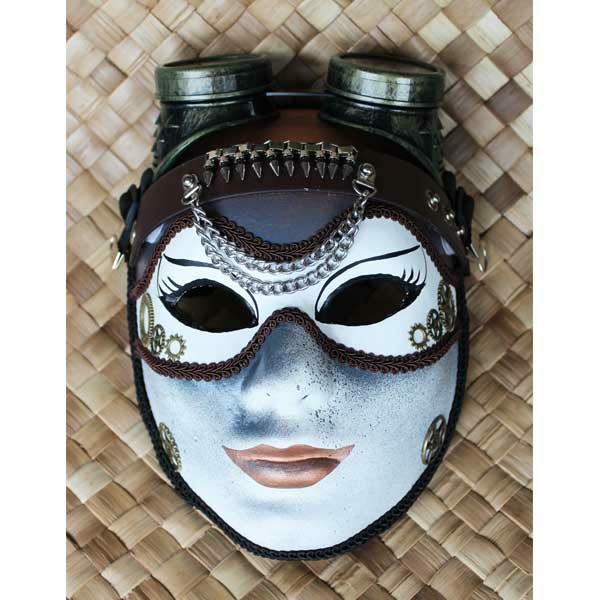 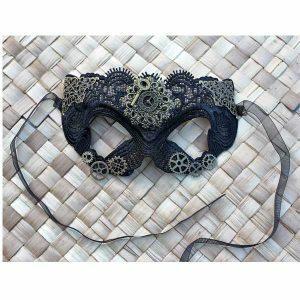 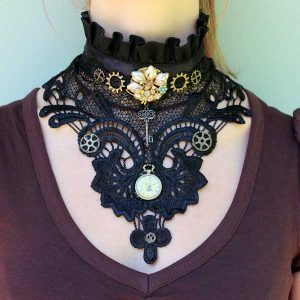 Get goggles and a wrist cuff to wear to your steampunk event and something to display them on. 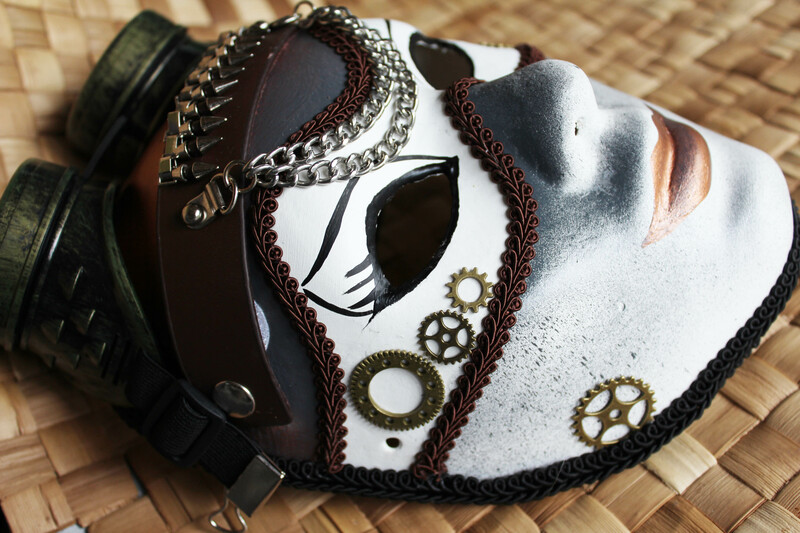 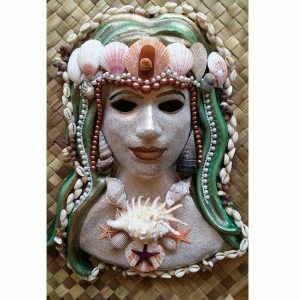 The mask is made from papier mache, painted with acrylic paint, and decorated with leather, brass charms and plastic steampunk goggles.